Depending whom you ask, Persistence means different things to different people. It means continuing without veering off course or changing function or structure. It describes ongoing existence regardless of interference or challenges. Some even say persistent personalities experience De Ja Vu more frequently due to their repetitive drive. We thought it a great name for a knife as it also means steadfastness and never-give-up-attitude. Spyderco's C136 Persistence is the smaller version of the Tenacious Model, another reliable descriptive of human nature. We milled the black G-10 laminate handle with prolonged fatigue-free cutting in mind. Comfort in hand means easier use long-term. Skeletonized steel liners tucked inside the handle, increase the handle's rigidity and strength level without adding non-functional weight or bulkiness. The 8Cr13MoV stainless blade is a modified skinning-style, ground-flat. 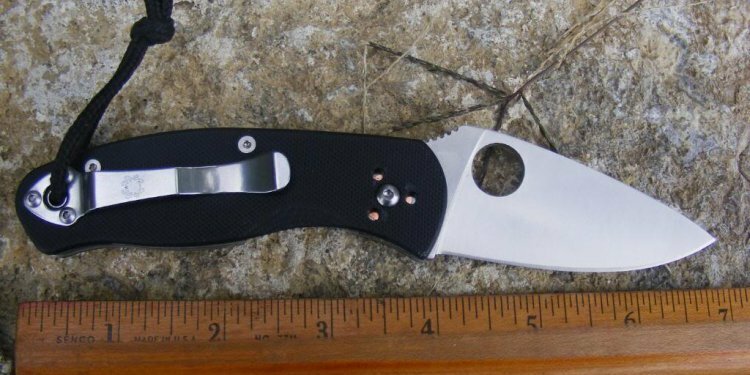 Careful positioning of the oversized Spyderco Round Hole, relative to the location of the pivot, pre-set the hand in just the right spot for fumble-free one-hand blade open/close.